When R.N.Elliott (1871-1948) wrote his second and most comprehensive treatise, 'Nature's Law' in June 1946 he placed much emphasis on his discoveries of mathematical ratio and proportion and its interwoven connection between stock index price activity and the growth pattern of many natural phenomena. His 'mantra' of the time was "No truth meets more general acceptance than the universe is ruled by law…" – in more contemporary times, 'general acceptance' of this is no longer the case. Perhaps this has to do with the fact that we live in an internet age where we are so bombarded with the news flow that it removes our awareness of the magical properties of ratio & proportion that are still ever present and visible in the markets of today. 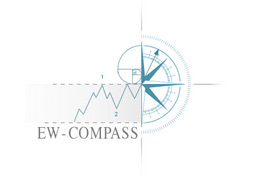 When I originally read Elliott's works over twenty-five years ago, I began to realise he was very much influenced by the connection between the golden-ratio of 1.618/0.618 known as phi Φ and the growth progression of the stock market. He devoted several chapters to this subject, entitled 'Rhythm in Nature', 'The Great Pyramid Gizeh' & 'Pythagoras' that elaborated this interdependency and co-existence of growth and mathematical order. Since that time, I have taken each of the 'thirteen' recognised and most frequently occurring patterns that Elliott originated and assigned specific Fibonacci price ratios (fib-price-ratios) to them so that they can be more easily identified. This was necessary so that the application of the wave counting process could be done in such a way as to reduce or (even attempt to) eliminate most of the 'subjectivity' attached to this methodology. For the Wave Principle to work, a clearly defined and cohesive structural blue-print of mathematical ratios was important to devise not only from the point of 'proving' Elliott's original concept of beauty and harmony manifesting in stock market activity, but also from a more pragmatic approach to its application of trading. It is a myth that these sublime ratios manifest randomly and everywhere in market data. They cooperate very specifically within the growth ideal in the most magical way imaginable but this effect is often overlooked because it occurs within the Elliott Wave counting process and one must acquaint oneself with this first in order to measure from the correct locations. But once familiarity of this co-existence of pattern/form and ratio is realised, it can be applied very effectively. The example I have selected to show you is taken from the 11th April issue of the EW-Compass report – the US10yr t-note future. An expanding five wave impulse decline began minute wave 1 from the 12126 high of 16th March completing at 11729 on the 8th April. It is labelled unfolding into minuette degree, [i]-[ii]-[iii]-[iv]-[v] and is composed of an extended 3rd wave, making the overall appearance of the pattern as nine waves (price-swings) in total. At the time of publication, the 5th wave labelled minuette wave [v] five was announced as ending at 11729, max. 11725 based upon the combination of pattern and ratio analysis. For pattern, a five wave subdivision was visible in the decline from 11914 and completing into this price area – and as for ratio, a most common measurement was applied. Extending waves [i]-[iv] by a fib. 61.8% ratio projected completion towards price levels at 11800, just 2/32nds from the actual low recorded. 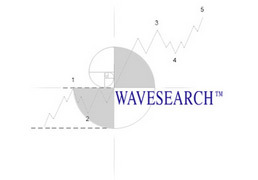 This fib-price-ratio is a very common ratio found repeating for this type of impulse pattern, but there are several more that could also be selected, depending on whether the pattern contained a 1st or 5th extension, what proportionality did the 1st and 3rd waves unfold to or dependent on how deep the 4th wave correction measured. 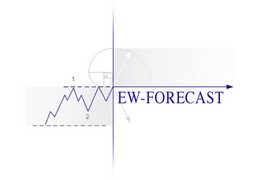 But in this example, everything formed into place at 11729, creating a harmonious cooperation of pattern & ratio to this exact level, with the obvious result of forecasting the beginning of a counter-trend rally. Compare the two charts below – the effect is quite magical. If you would like to learn more about fib-price-ratios, please remember to send us a message of your preferences – we are always guided by your opinions. fig #2 - 10yr T-Note - 120 mins.